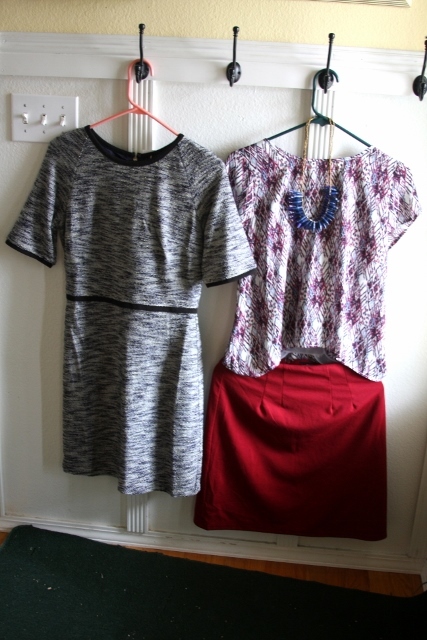 Just a quick post about my Stitch Fix for this fall. I got two tops, a skirt, a dress and a necklace. Overall I was kinda disappointed with this fix. Both the skirt and the dress were short and form-fitting– not the best look for me. I think I need to tell them in a note that short skirts are not really my thing. I also felt like both were very business professional, while I tend to be more casual, flowy and less tailored in my style choices. As for the pretty silky blouse that goes with the skirt and necklace, hubby said it looked nice on me and ALMOST convinced me to keep it. But in the end I passed for the sake of our budget. 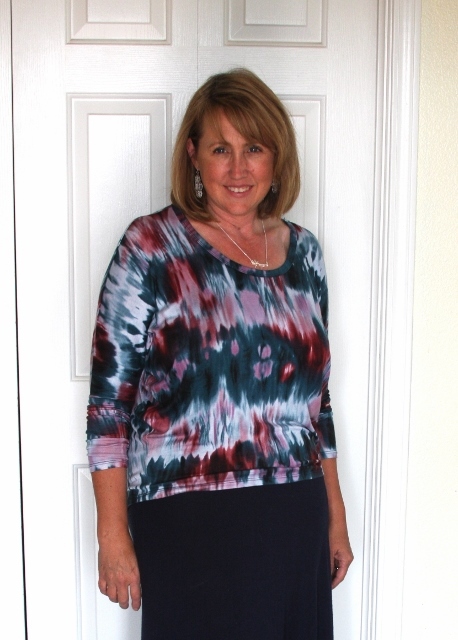 The one top that I did end up keeping is tie-dye— something I wouldn’t look twice at in the store. But it is definitely in my color palette, and it is soo comfy. The sleeves look nice either pushed up to the elbow or pulled down to the wrist, which makes it a nice versatile fall piece. 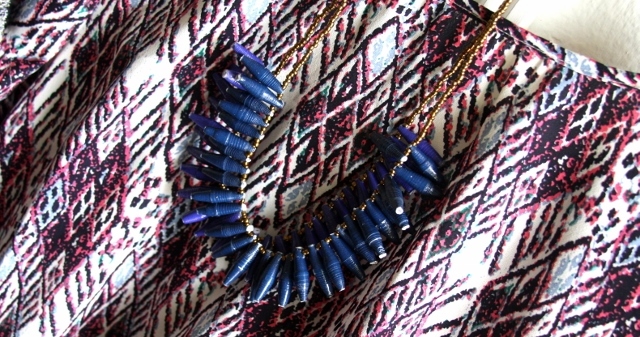 And it looks good with a long skirt or a pair of jeans. This is something I’ll wear often this fall, I’m quite sure. Click on the link to find out how you too can have your own personal stylist! My cousin is a stylist for Stitch Fix! Her name is Genevieve. She actually has a sister named Alexandra but as far as I know she doesn’t work there. If you set up a pinterest board with styles that you like then put it on your profile with Stitch fix they will use it to work your fix. Since I did this, everything they’ve sent has been has been perfect for my ‘style’. The sizes are still off sometimes and now I have harder decisions on what to keep and what to send back but overall it’s made a big difference!